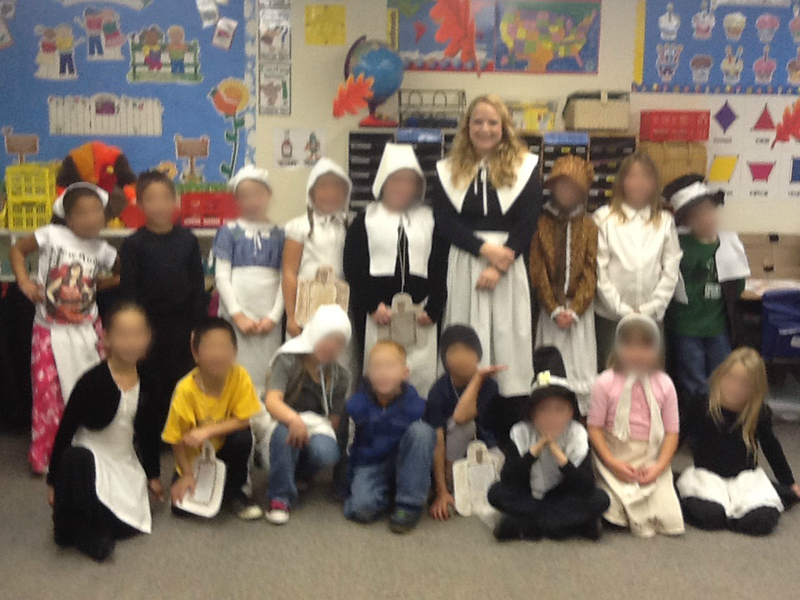 We have had so much fun the last few weeks with our Pilgrim studies! We started out with everyone getting a “Pilgrim” name. Technically, these are just names of those who were on the Mayflower and they might have been separatist, “stranger”, servant or crew, but we don’t get that detailed in 1st grade! I’ve posted a link to the google doc that lists the passenger names. The names can be cut out and students can draw a boy or girl name. I like to use the names on the 1st page. The ones on the 2nd page are more complicated —like naming your son Love! We only have a few more school days before Thanksgiving, but your students would think it was fun to have a “Pilgrim” name. I let them write that name on all their class work during this time and try to remember (that’s one of the Pilgrim names this year!) to call them by that name in class. One of my girls this year chose the name Humility and wasn’t very happy about it. I explained what it meant and I think she liked it even less! She wanted to change names with someone else, but I didn’t want to do that — can you imagine the chaos that would follow! Everyone would need a different name and of course 5 of them would want the same name! So, one day we were doing a worksheet (Scholastic?) about the Pilgrim names and what they meant and it had little drawing of Pilgrim kids to go with the names. Someone at her table said, “Oh, look at Humility! She is so pretty!” Now, the name isn’t a problem. Thank goodness for worksheets with cute artwork! We take a pretend journey on the Mayflower and learn about how difficult the journey was. This is at the start of our unit since the rest of it will deal with what life was like once they arrived. The 2nd graders learn about Native Americans and so we get together with them a few afternoons to learn about the Pilgrims and Indians. It’s been a busy, but fun time! I didn’t even do the turkey in disguise this year. It just seemed like it would be too much. What are your favorite classroom traditions/lessons during this time?